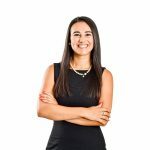 Jessica pursued her studies at the University of Malta first obtaining a Bachelor of Laws with Italian, followed by a Diploma of Notary Public and subsequently, graduating as a Doctor of Laws with a thesis in the field of contract law. She is currently in her final year of a Master of Arts in Financial Services course at the University of Malta. She has completed study units relating to estate planning, matrimonial regimes, trust law, the regulation of banking, EU financial services law, advanced company law matters, and the local legal framework of financial services, among others. She has also successfully obtained a Foundation Certificate in Trusts Law and Management. After a two year experience exposed to the practice of a local law firm specialising in the civil, commercial and private law service lines, Jessica joined Grant Thornton in 2015 focusing predominantly on the corporate, trusts, compliance, capital markets, regulatory and licensing fields. She was responsible for the drafting of various contracts relating to the same areas, providing legal support in the drafting of public offering documentation, advising on corporate restructuring and regulatory compliance, drafting of license applications in the financial services sector, providing support of a legal and regulatory nature to licensed companies, carrying out legal and regulatory due diligence on regulated entities, and works alongside the tax and advisory teams providing legal input for projects and business plans. Jessica is also a member of the Malta Chamber of Advocates.